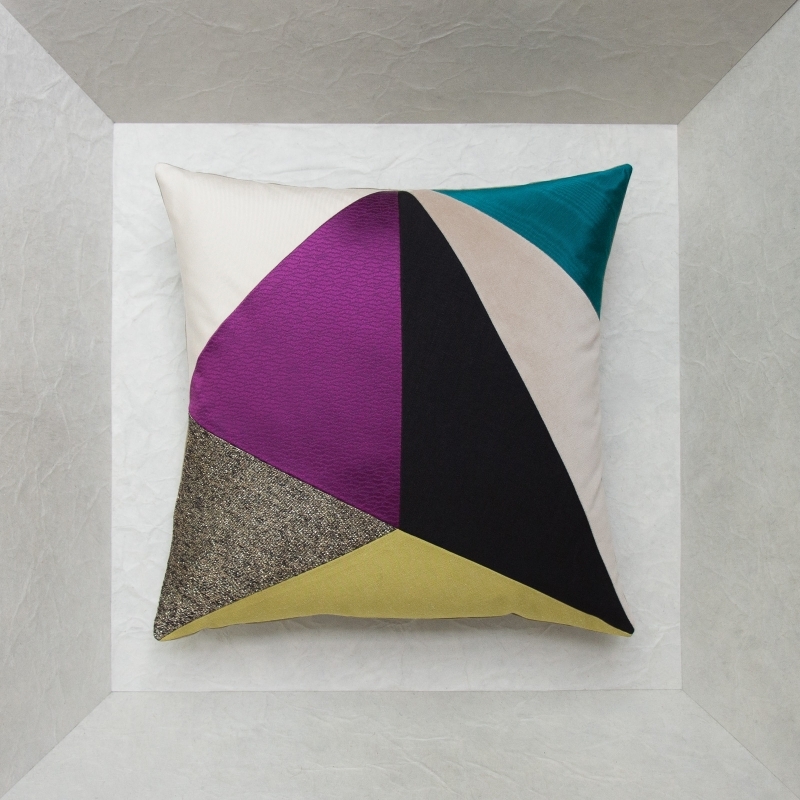 Like elegant clothes for special occasions, this series of 7 original cushions will dress your home interior with a unique, high-end touch. 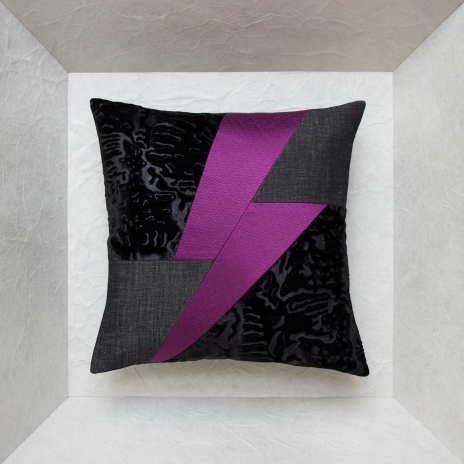 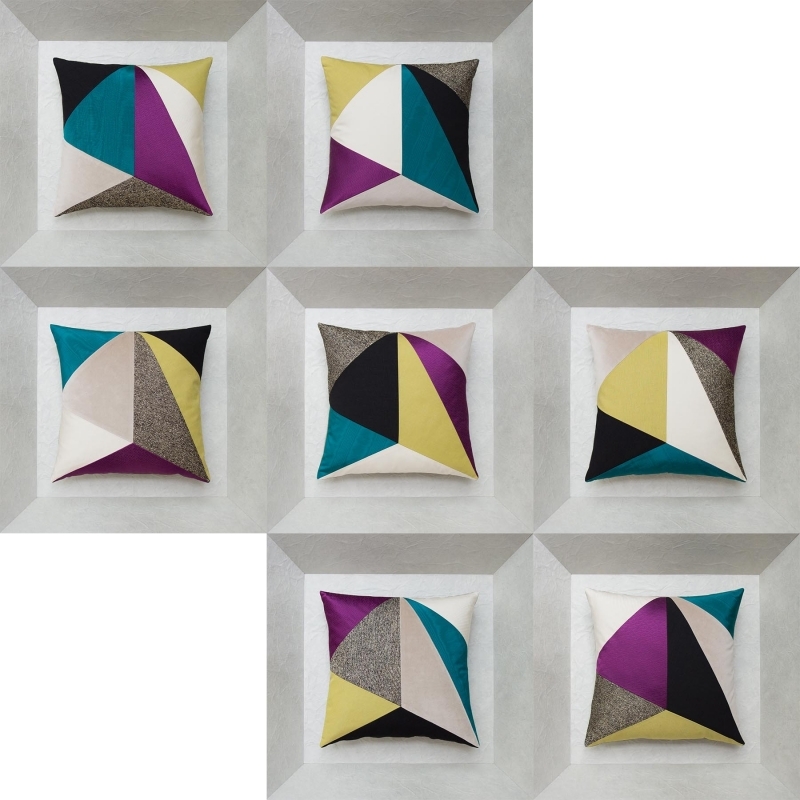 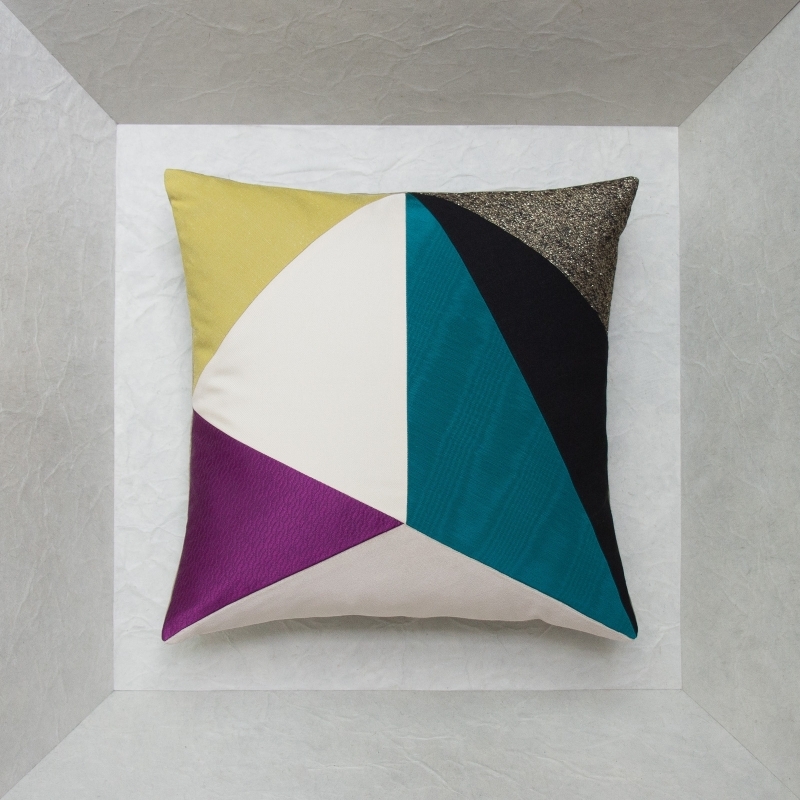 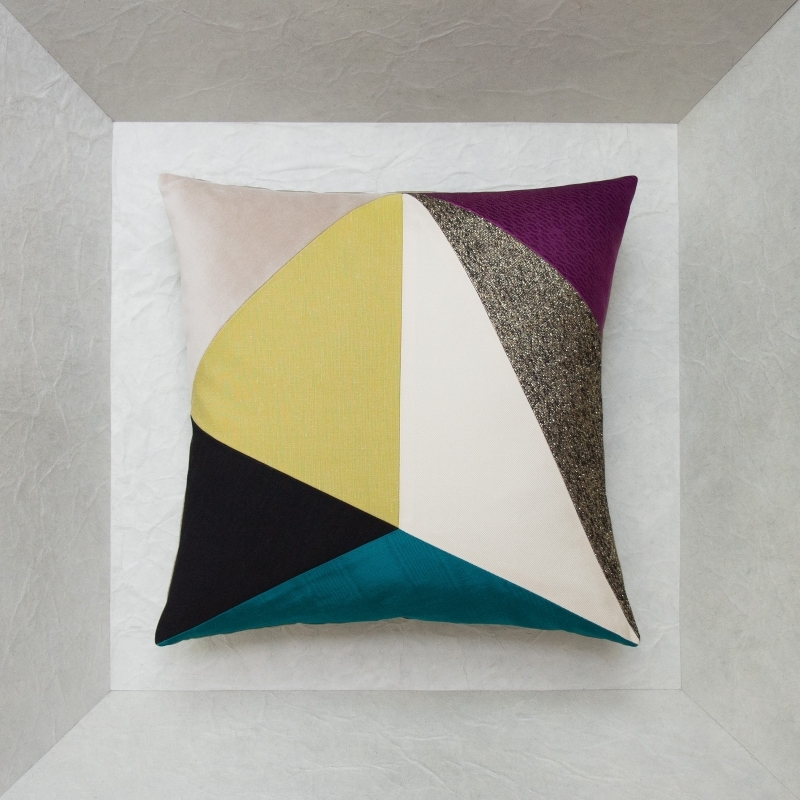 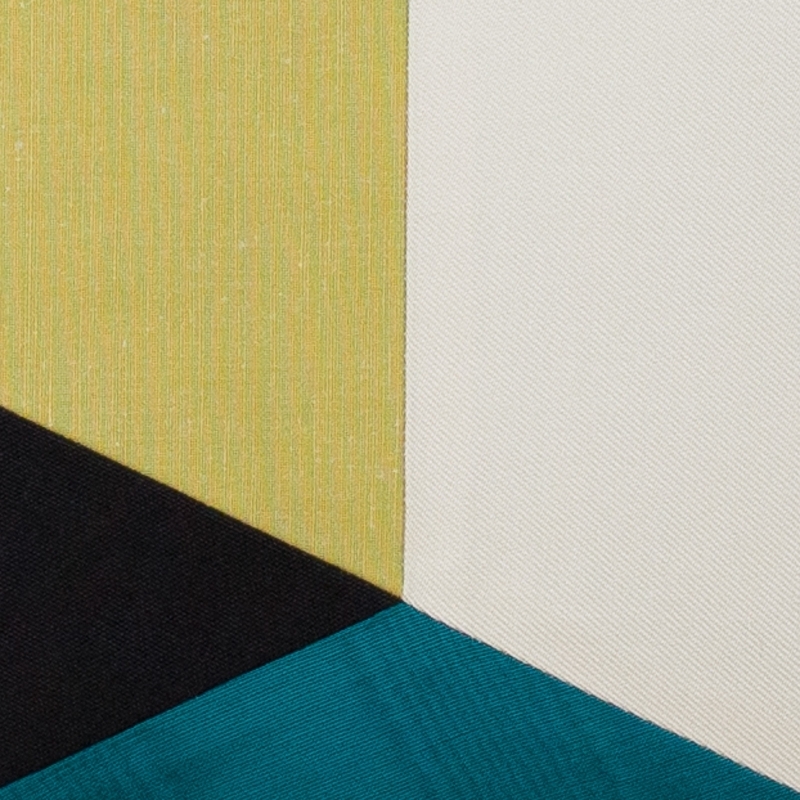 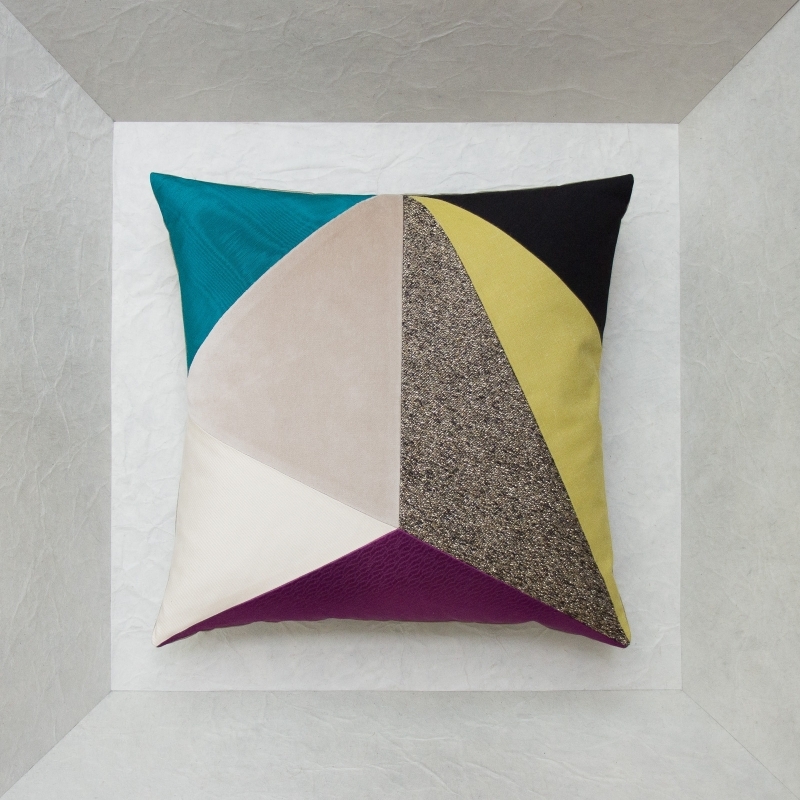 Original, classic, modern and vintage: a wonderful combination of custom-made designer cushions. 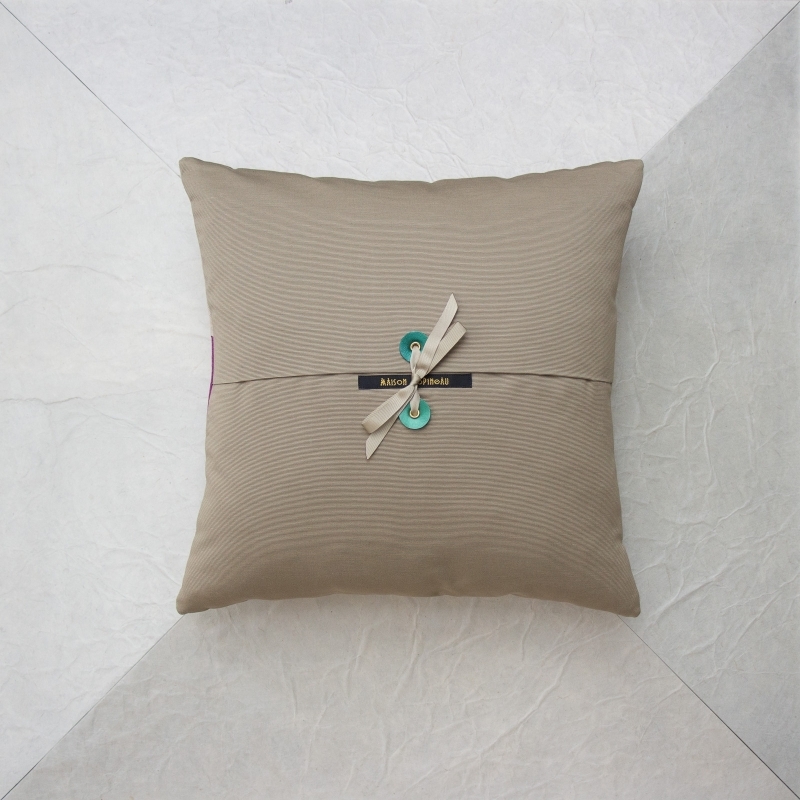 An aesthetic, subtle combination emphasize their elegant, precious style without ostentatious luxury. 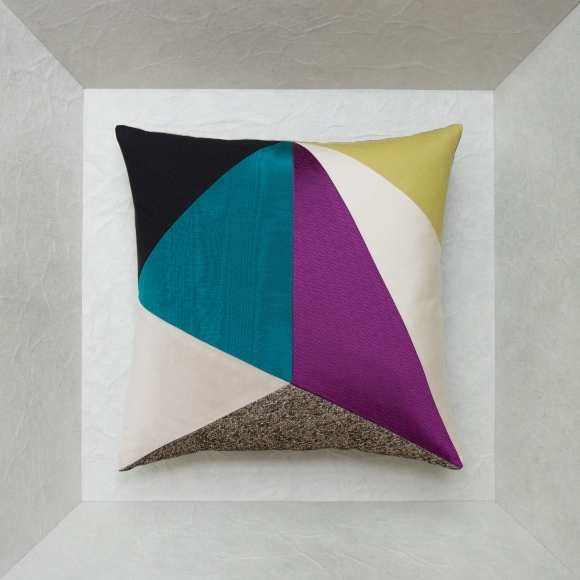 For those who love French-made good taste. 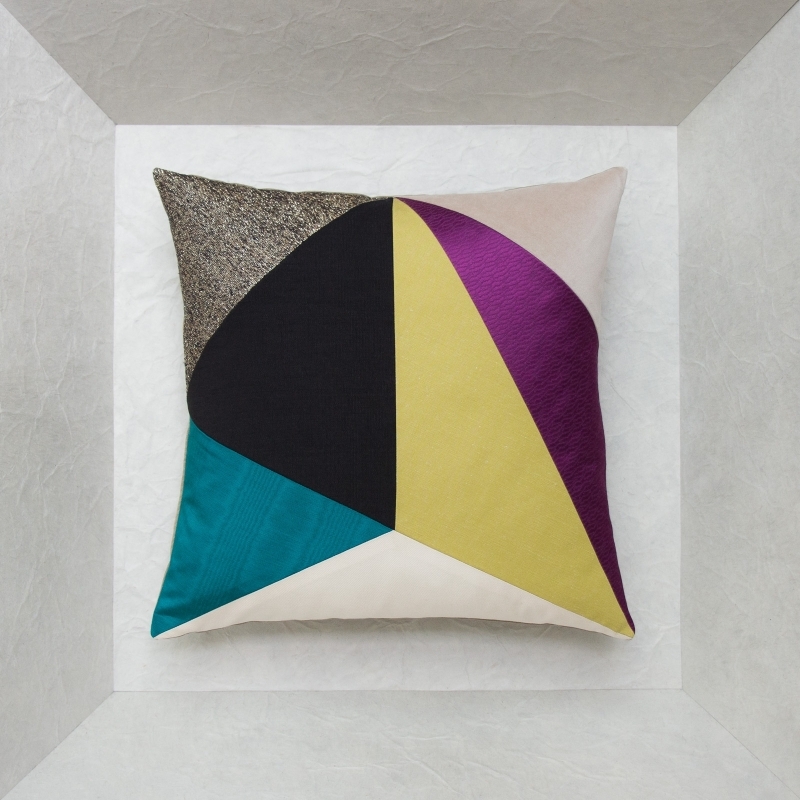 On the front, the cushions stand out with an ivory satin twill, green linden cotton canvas, raw cotton velvet, a heather-effect antique gold wool and silk lamé, peacock blue cotton viscose moire, amethyst embossed cotton and polyester satin and black silk and cotton canvas. 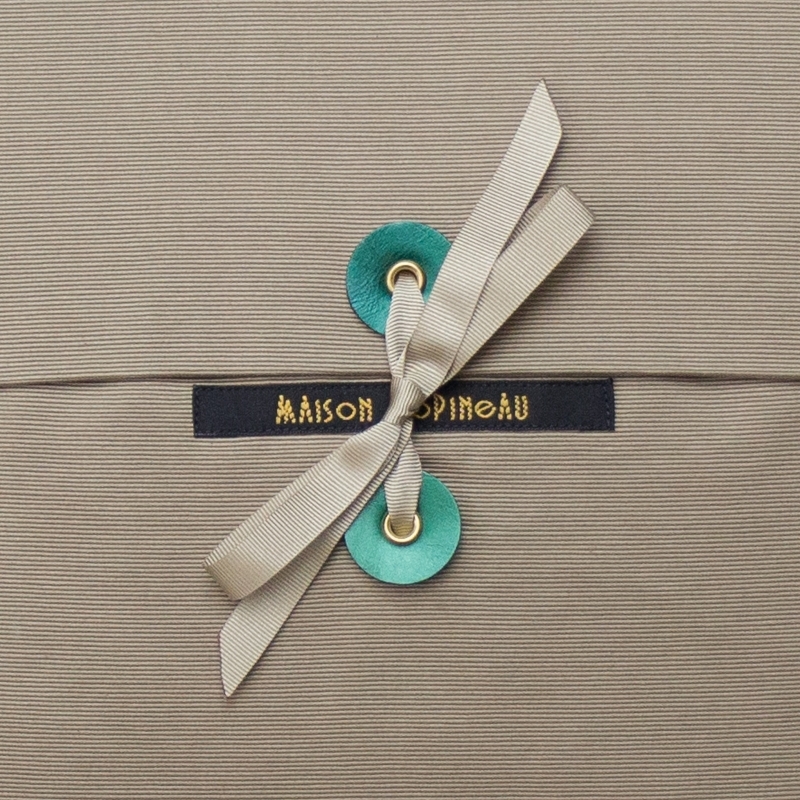 On the back, sepia cotton ottoman and the Maison Popineau signature: 2 green metallic leather tabs with golden grommets and beige grosgrain ribbon.